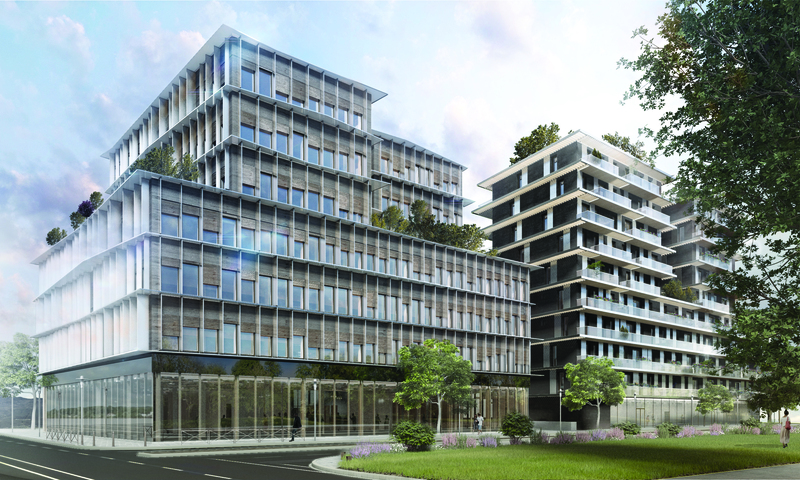 Within Bordeaux Euratlantique, national interest urban renewal operation, PICHET Group are going to build a seven-story office wood construction. The building is designed to be a NZEB or even a positive energy balance. With 4.500 m², the high performance envelope is designed to be very close to PH standards, by integrating the RES and using a bio sourced insulating materials from local origin. This project is located in the heart of Bordeaux city, close to the railway station and the Garonne river. The building's shape will (directly or indirectly) illuminate the shared spaces and all circulations. Natural ventilation is used in the building by using “thermal chimney” system. 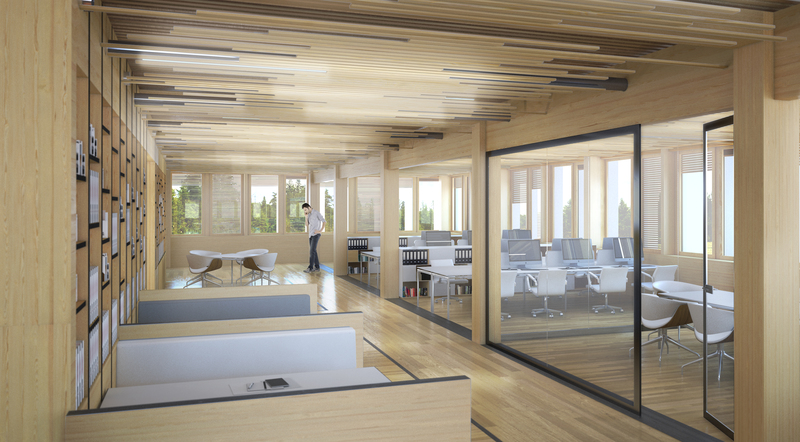 This project is part of a comprehensive approach in Aquitaine that aims to develop and strengthen a broad engineering expertise in the field of high Energy Efficiency and timber frame construction, using local resources from industrial timber production such as maritime pine and bio-based insulation materials and capacity for implementing and organizing multi-storey buildings in timber structure. Thus, paving the way for a strong positioning of actors on the regional housing and tertiary market. These are expected to feature in the coming years, an annual rate of 25 000 dwellings and 159 000 m² of office floor. This project is part of major operations and in particular the National Interest urban renewal operation Bordeaux Euratlantique (2,500,000 m² building), or the Bordeaux Metropolitan area (CUB) housing activity featuring more than 9,500 units / year.